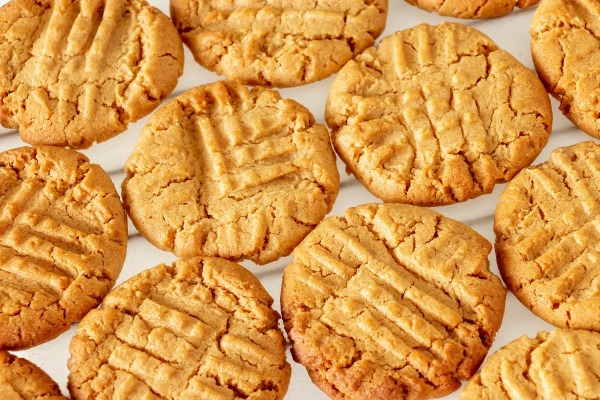 Peanut Butter Crisscross Cookies is a recipe from my Aunt. She was making these for her kids back in the 1960s, and they still love them. I love them, too. Even for BREAKFAST! 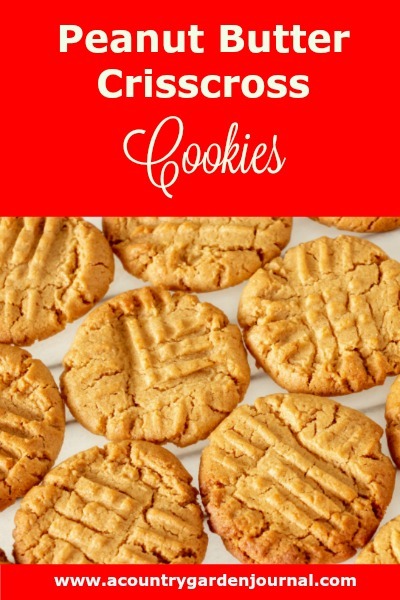 The recipe makes 5 dozen cookies – – – unless you want to make each one super-sized. I would! Thoroughly cream the shortening, sugars, eggs, and vanilla. Stir in the peanut butter. Sift the dry ingredients. Stir them into the creamed mixture. Drop by teaspoons on an ungreased cookie sheet. Press each with the back of a fork to make crisscrosses. Bake at 350 degrees for 10 minutes. Makes 5 dozen cookies.